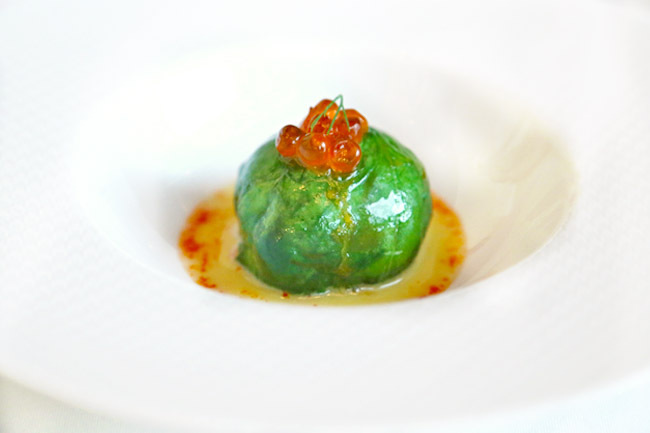 Someone told me that Les Amis was THE fine-dining restaurant in Singapore in the 1990s. “If you can afford a meal there, you have made it. If you propose to someone there, you can make it.” Was. 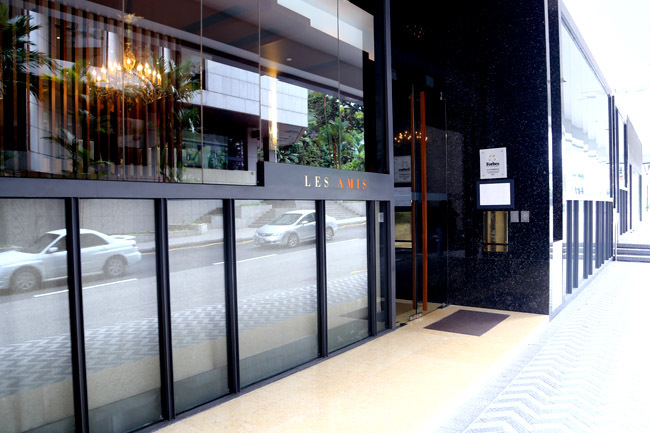 Les Amis, the French translation of ‘The Friends’, filled the void then by becoming the first independent fine-dining restaurant in Singapore, located at Shaw Centre near the heart of Orchard Road. 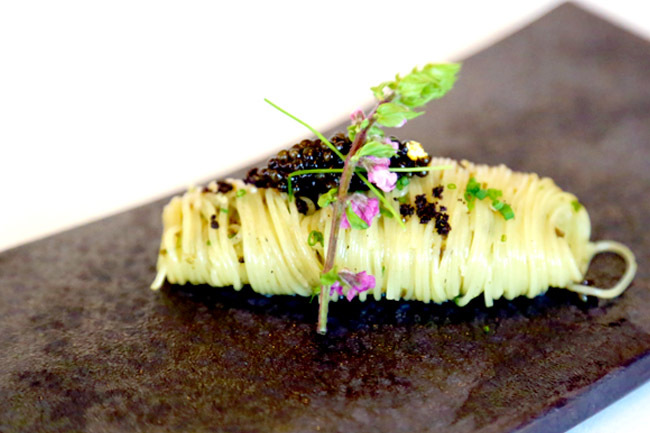 The French restaurant quickly became one of the most recognisable names in the industry, being a yearly inclusion in Asia’s 50 Best Restaurants, also expected to fetch a star in Singapore’s coming Michelin guide. 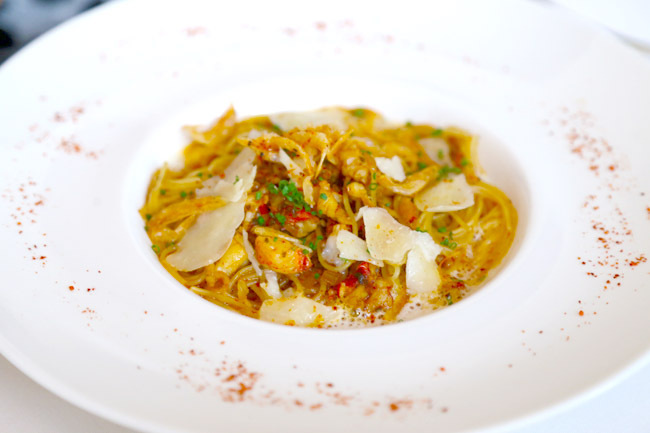 Through the years however, the Les Amis group seemed to have shifted focus to their mid-tier restaurants such as Aoki, La Strada, Bistro Du Vin, Sushi Jin and casual dining concepts of Nam Nam and Pepperoni Pizza. 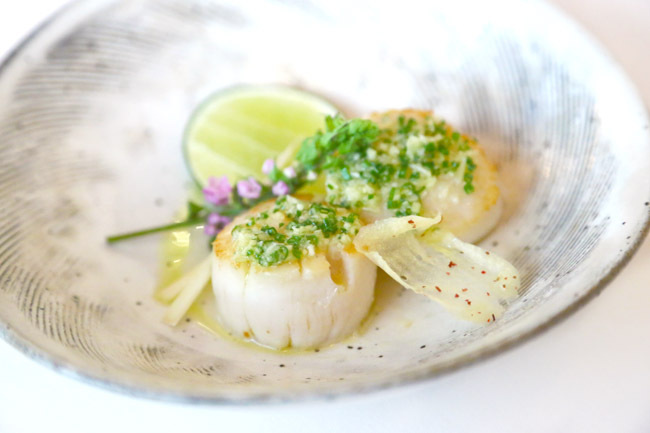 With the proliferation of other celebrity chef restaurants, Les Amis the restaurant also appears to be off-the-radar, despite having just gone through a massive $1.5 million renovation. 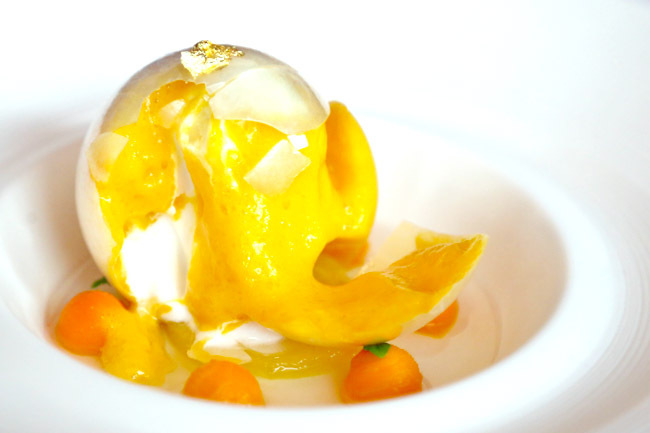 Chef de Cuisine Sebastien Lepinoy, who is protégé of Joël Robuchon, joined in 2013. 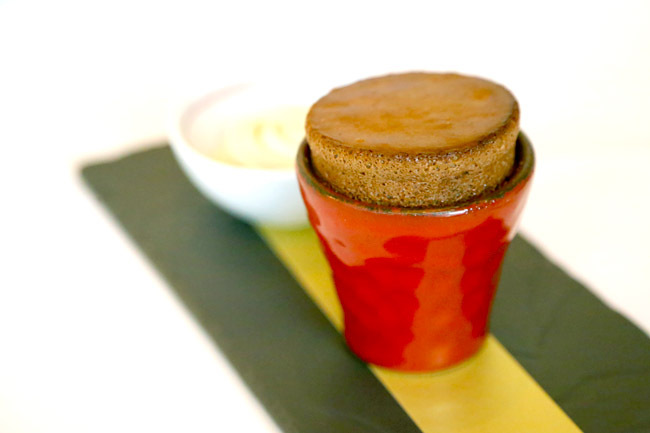 He is assisted by Pastry Chef Cheryl Koh, now more known for her tarts being sold a few shops down. 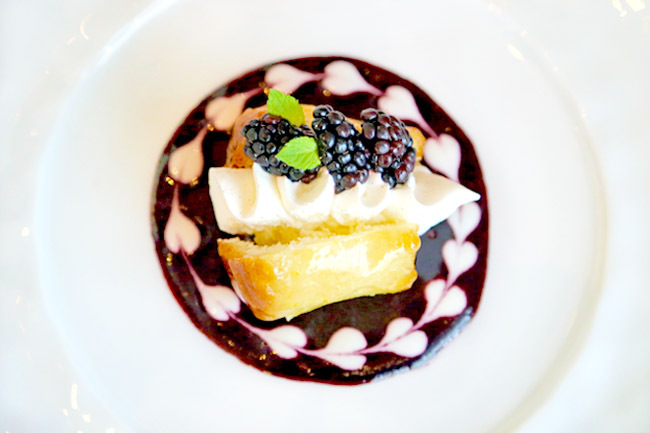 For lunch, there are the more affordable Express ($65 – can be served within 45 minutes), Formule ($90, 3 course and dessert), and Tasting menus ($155) available. I did note of certain price adjustment, the signature dinner used to cost $280, but has dropped $40. 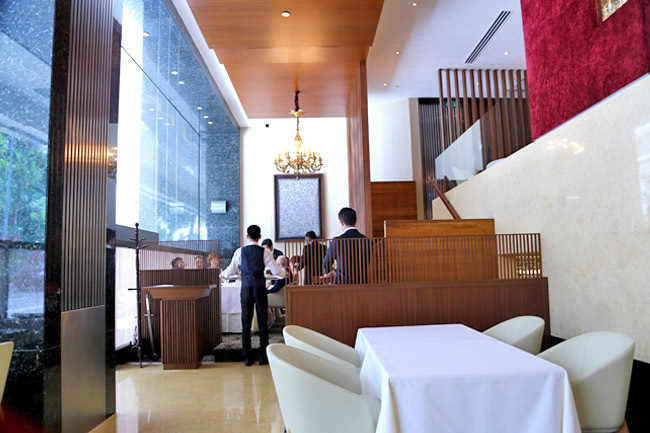 There was a $55 set lunch sometime back in a bid to win back diners – and that worked. The price has increased slightly to $65. Overall, there were few surprises in terms of the mains, though I must say the desserts were quite impressive. 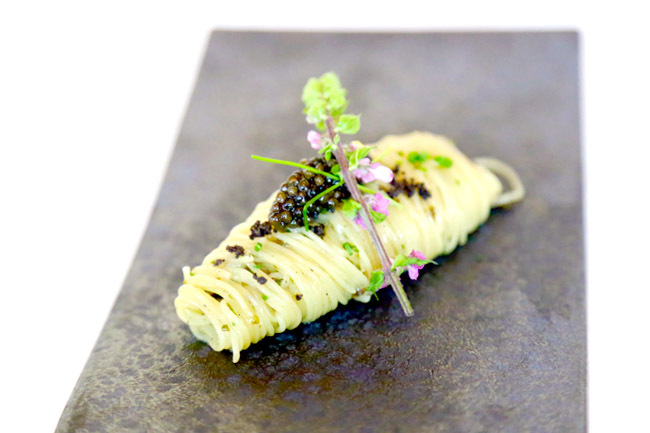 The signature starter of Les Amis is the Cold angel hair pasta with balanced combination of kombu, caviar and black truffle from Provence, was a SMALL dish, but as good as it sounded. There are similar versions elsewhere, but this remains one of the best around. Not all dishes impressed though. The teppanyaki seared Hokkaido Scallop with a light bouquet of ginger and oriental style teriyaki sauce tasted somewhat underdone. The table of us tried a morsel, and all agreed. 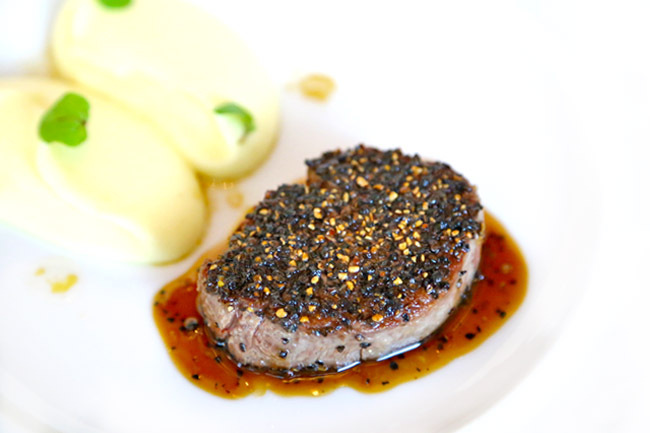 Beef did not appear to be its strength too, as the roasted wagyu beef tenderloin was chewy tough and boringly bland. The desserts all hit the sweet spots, especially the Tropical Fruits. 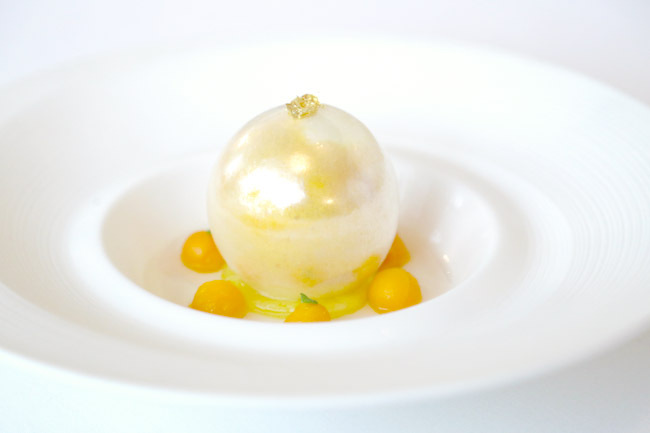 Contrary to its name, it was not a platter of fresh fruits, but a thin sprightly golden sugar sphere (a glam looker), which you could break apart to reveal smooth alphonso mango puree with coconut sorbet. Despite the restaurant not being full, I was perplexed at its inconsistency of the service. There were four of us at the table, but the service staff would introduce only one of the dishes despite bringing up all four, “This is the beef from… blah blah” and ignored all the rest. It happened on a rotational basis on very course, which was kind of strange. Modern diners are being more sophisticated, better travelled, more discerning and perhaps also place more demands on higher-end restaurants. 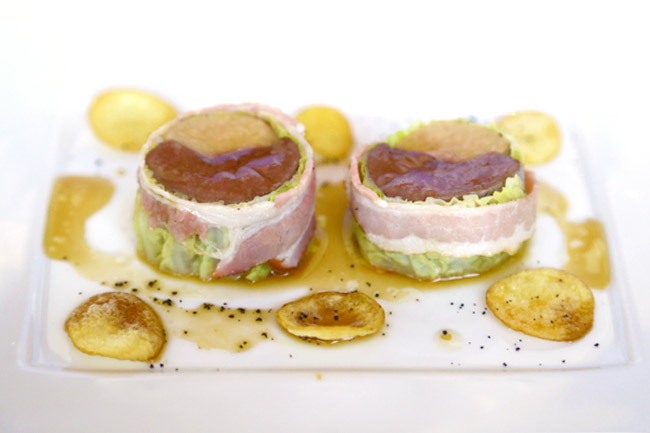 Les Amis had its time and place, but perhaps can make some adjustments, whether menu or price-point, to find its stronghold again. * Daniel’s Food Diary pays for food reviewed unless otherwise indicated.